Posted on 09/09/2013 by Jayson	in Markets Comments and tagged STI. 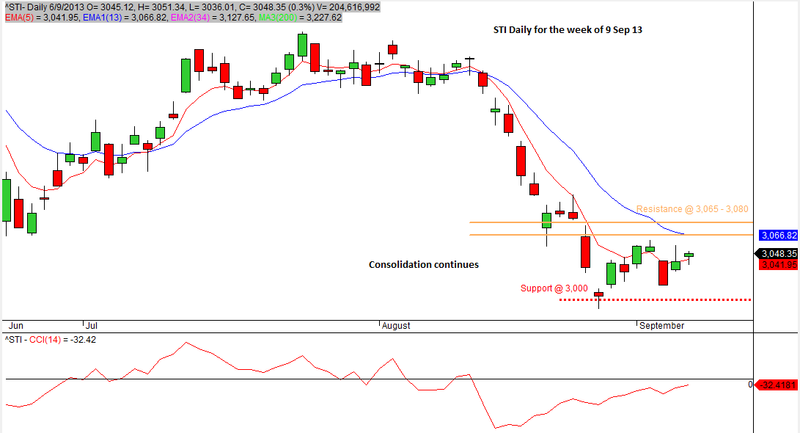 Consolidation continues for STI and it will be testing resistance of 3,065 – 3,080. From the CCI, it seems that there are up side potential and from the pattern of consolidation, the breaking up of the trading range is likely, unless war breaks out.